In this years Parent’s Pick awards, we’ve compared baby soothers – or pacifiers – based on the customer satisfaction levels of parents. Happy Baby achieved five star ratings for value for money, soothes my baby, size of pacifiers available, fit and comfort and overall satisfaction. As of May 2013, the average cost of raising a child is roughly $458 per week. While parents often spend big for their first born, many are ready to cut costs by the time the second child comes around. This reduced expenditure may be related to the fact that about one in two respondents purchased specialised baby equipment they didn’t need or use. 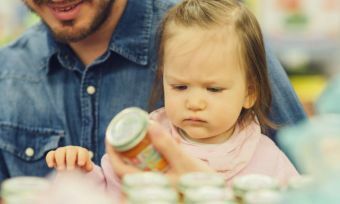 Three in five parents tried to recoup some of this expense by selling on baby items originally bought brand new (61%). For 44% of parents, while most of their baby items were purchased second hand, some things had to be brand new. It’s likely that one of the items particularly likely to fall into this category is baby soothers. Our Parent’s Pick Awards are designed to help mums and dads find brands best suited for their baby. This is the first year we’ve compared pacifiers in our ratings, and Happy Baby has emerged as the winner of our Most Satisfied Customers Award in this category. Being an award-winner in 2012 for baby bottles, Happy Baby is no stranger to accolades. This brand achieved five star ratings for value for money, soothes my baby, size of pacifiers available, fit and comfort and overall satisfaction. Also compared were Tommee Tippee, Philips Avent and Nuby. For a full breakdown of these results, see below. 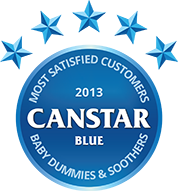 Happy Baby achieved five stars for overall customer satisfaction in this category. Next in line were Tommee Tippee and Philips Avent with four stars, then Nuby with three. Happy Baby achieved five stars for the value for money of its pacifiers; Tommee Tippee followed with a four star rating, and Philips Avent and Nuby both achieved three. 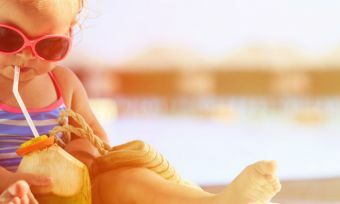 Babies are understandably sensitive, and something familiar and soothing might be just the thing they need to keep them calm in any given situation. Customers of Happy Baby and Tommee Tippee were most satisfied their pacifier product soothed their baby. Philips Avent followed with four stars, and Nuby with three. Both Tommee Tippee and Happy Baby achieved five star ratings for the available sizes of their pacifier range. These were followed by four star recipient Philips Avent, then by three star recipient Nuby. Can your pacifier be easily sterilised? Is it brightly coloured so it can be found among your child’s toys? No matter how simple a product may appear, you can’t overlook or undervalue the extra features of a pacifier. Philips Avent achieved five stars for pacifier features, and was followed by four star recipient Tommee Tippee. Both Happy Baby and Nuby received three star ratings for features. Make sure the dummy you buy is well-suited for your child’s mouth. Customers of both Happy Baby and Tommee Tippee received a final five stars, this time for the fit and comfort of their pacifiers. Philips Avent received four stars, and Nuby achieved three. These baby pacifier ratings are part of our Parent’s Pick Awards, where we commission Colmar Brunton to survey 1,300 Australian parents aged 18-40 years old with at least one child aged three years and younger to measure and track customer satisfaction over a number of categories. The outcomes reported are the results from parents within the survey group who have purchased a baby dummy / soother in the last six months – in this case, 457 people. 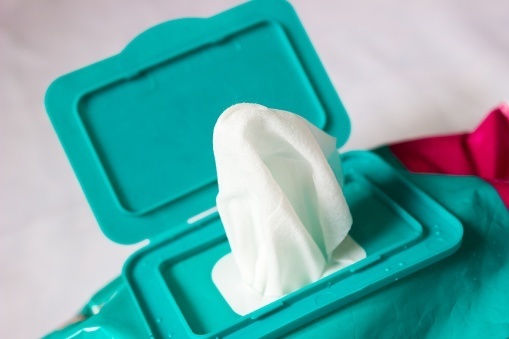 Ever wondered what they put in baby wipes that separates them from ordinary cleaning wipes? We take a look at some common ingredients.